The Indian Machine Tool Manufacturer’s Association (IMTMA), is ready to take the manufacturing sector by storm with the first edition of Delhi Machine Tool Expo 2015. With prime focus on manufacturing solutions of the regional industries. The Delhi Machine Tool Expo will be a one-stop destination to display technologies and solutions needed to upgrade and improve productivity and quality requirements and demonstrate solutions to manufacturing industries especially SMEs. The Delhi Machine Tool Expo 2015 is being held in Pragati Maidan, New Delhi from August 20 to 23, 2015. Organised by Indian Machine Tool Manufacturers’ Association (IMTMA), The Expo will cover the entire gamut of metal working machine tools for both metal cutting and metal forming as well as automation, tooling systems, production aids, accessories, consumables, software and other latest technologies required for today’s manufacturing needs. 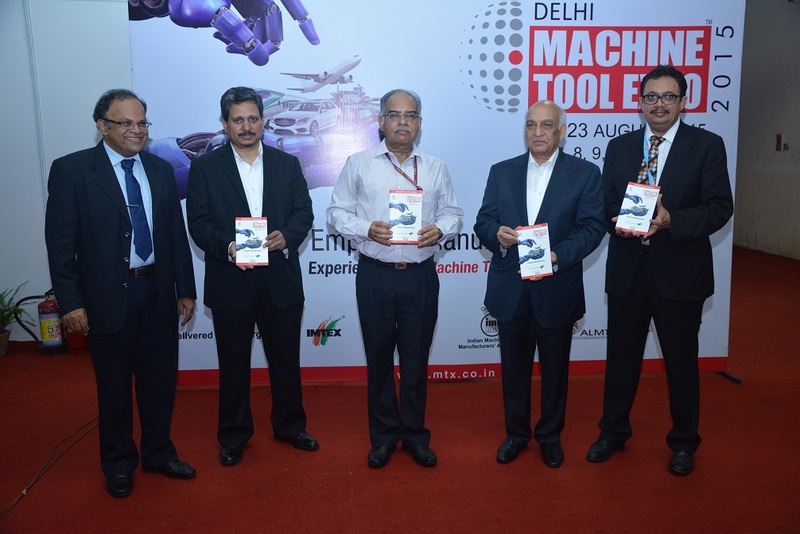 The Delhi Machine Tool Expo 2015 covers an area around 10,000 sq.mts. with more than 200 exhibitors and participation from 8 Countries and group participations from China, Taiwan and the United States of America. The Delhi Machine Tool Expo 2015 is a business-to-business exhibition that will encourage manufacturing industries and SMEs to reach for higher quality, productivity and achieve competitiveness by adopting modern machines and technology. The Expo is designed to address today’s rapidly changing productivity and quality requirements and demonstrate solutions to manufacturing industries, especially SMEs. The Delhi Machine Tool Expo 2015 will have trade delegations from various sectors. It will be the best place to judge the requirements of the regional market in sectors such as automobiles, auto components, defence, railways, telecom and many others. The exhibition holds tremendous significance for all players associated with the manufacturing industry. Constituted over 65 years ago for promotional support, Indian Machine Tool Manufacturers’ Association (IMTMA) today represents the entire machine tool industry in India. Comprising of large, medium and small scale units, the membership of IMTMA includes manufacturers / traders in the entire range of metal working machine tools, accessories & other ancillary equipment for machine tools, cutting tools and tooling systems. In short it is the single point of contact for the machine tool industry in India. The forum is deeply committed to support the industry to increase competitiveness, technology, productivity and quality to ensure its overall advancement and growth. The association is also proactive in taking new initiatives to promote advancement of metal working manufacturing in India.